Let’s go over the yes part first since that is the good part. Above is a photo showing my cute little nub of a tail. I have drawn an arrow and circled it for you. It’s not very big or very obvious, but it is there. 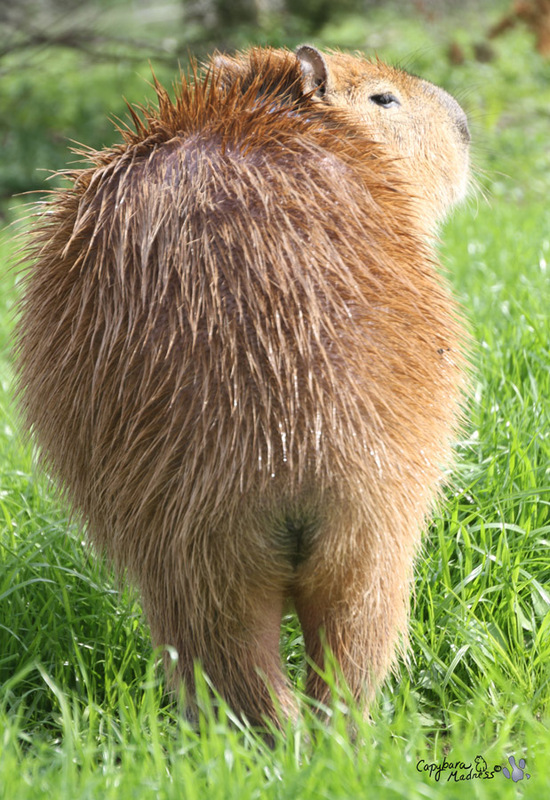 And I am not the only capybara to have a tail. 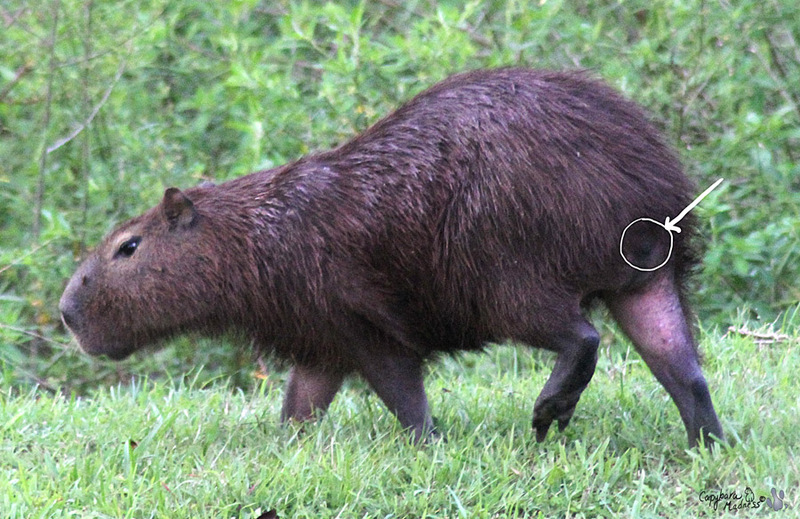 Apparently both capybara species have similarly sporty tails as seen on the photo of an adult female that Melly took in Panama. You might want to click on the photo to enlarge it because the tail is quite difficult to see. So clearly we have tails…or do we? Isn’t that amazing? 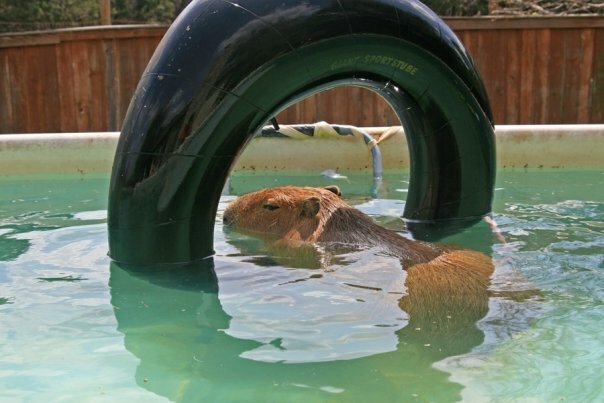 The vets at Texas A&M University College of Veterinary Medicine know how to take pictures of the INSIDE of a capybara! Who would have thought? My insides look very nice, don’t they? I wonder if those circle things are partially digested plastic bags. Melly is always worrying about me and plastic bags but they are sooo very delicious. Back on topic. 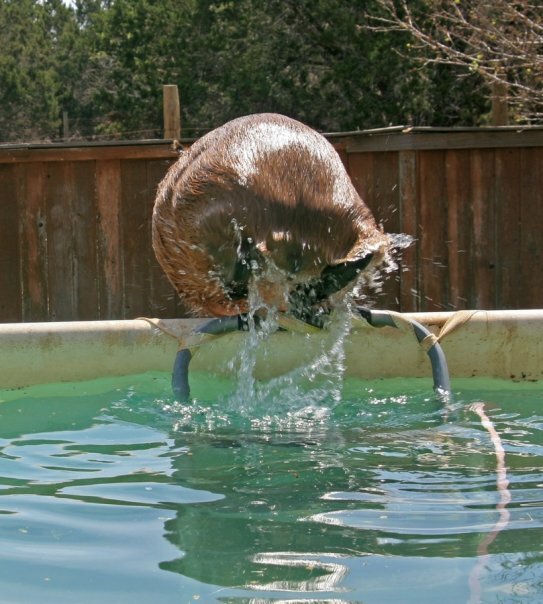 Do you see how my backbone extends all the long way down to my rump? And then it stops. And then there is a little light part just past the end of my backbone. That little thing is my tail. But in some ways that makes it not a real tail because the tails of animals like dogs and cats and lizards and horses have the backbone extending into the tail itself. That’s what makes it so they can move it. I can’t move my tail at all because it is not attached to anything. Melly sometimes tells a kind-of gross story about Caplin Rous. One day she and Caplin were entertaining some kids at a school down in San Antonio when Melly noticed a little spot of blood on the ground. She didn’t say anything about it because she didn’t want to scare the kids. When she got a chance, she looked over Caplin and found he was bleeding just a little bit around the rear end. Looking around on the ground, she found his tail! It came right off! Melly says Caplin never even noticed. Dobby Winnick, of Dobby’s Day fame, claims he does not have a tail. I wonder if the same thing happened to him, he is Caplin’s brother so it makes sense. I hope I never lose my tail. Well darn..I was going to take a picture of Mickki’s tail but it was raining..If it is not too wet I might just do one anyways as I think she has a small one. Will let you know later. Nos that’s a cute tail! I love your xray. The thought of a tail, even a tiny one falling off is scary. Just like a belly button! Temporary tails? 🙂 Very interesting and cute! 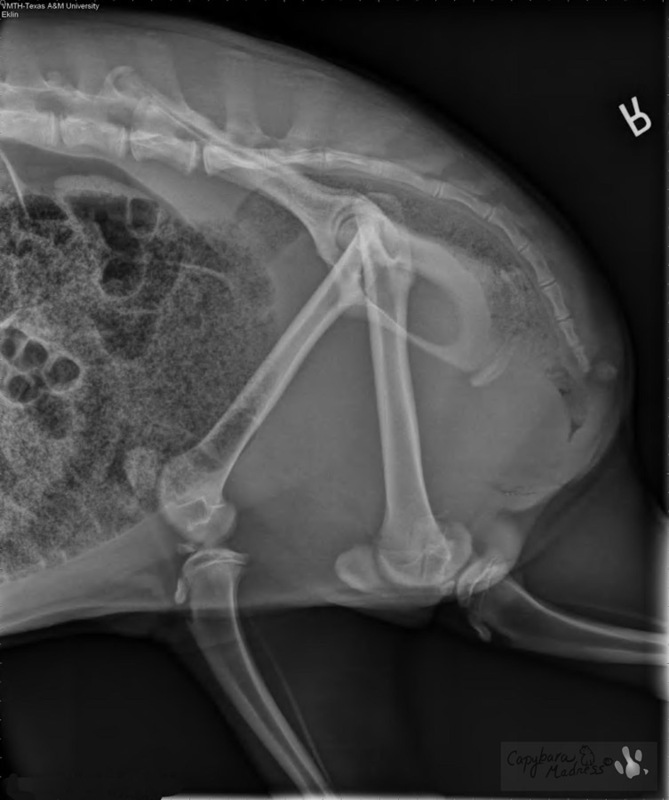 Fascinating tale of tails attached and tails gone by the wayside. 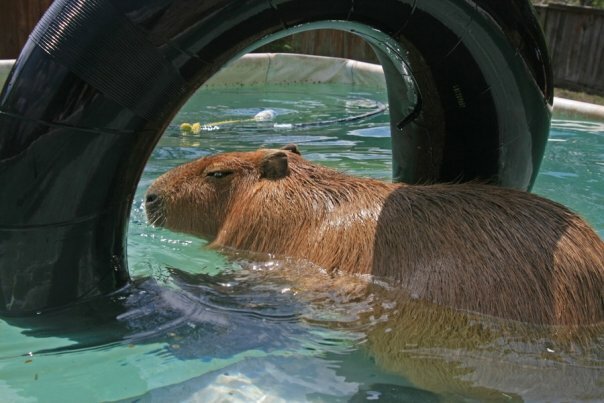 🙂 Is the capy the only animal to have a tail that isn’t attached to the spinal cord? 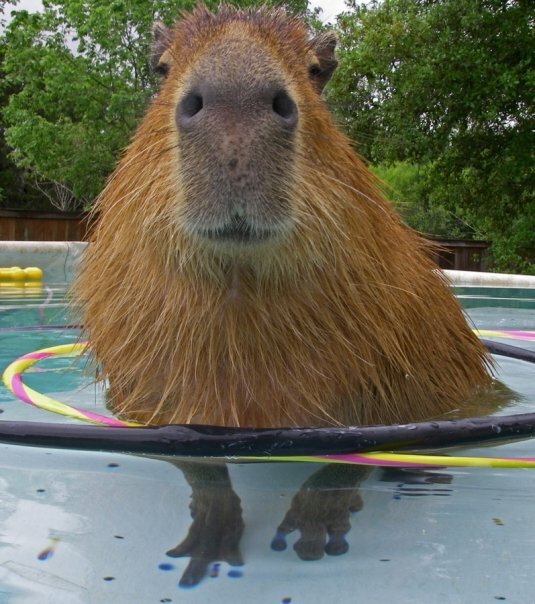 I don’t know if capys are the only ones. 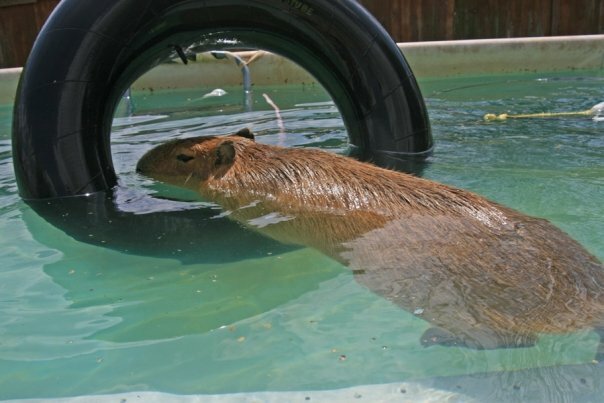 I think guinea pigs might have similar tails. Interesting! 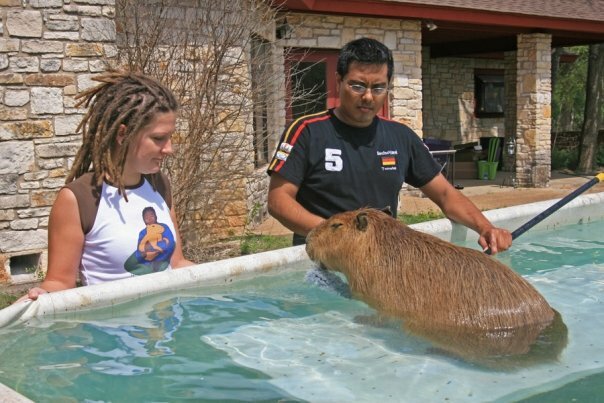 I have had pet guinea pigs almost my entire life, and have noticed something similar to Gari’s tail on a few of them. It’s so small most people would miss it, but you can definitely feel a little protuberance from whence you’d figure a tail would grow! 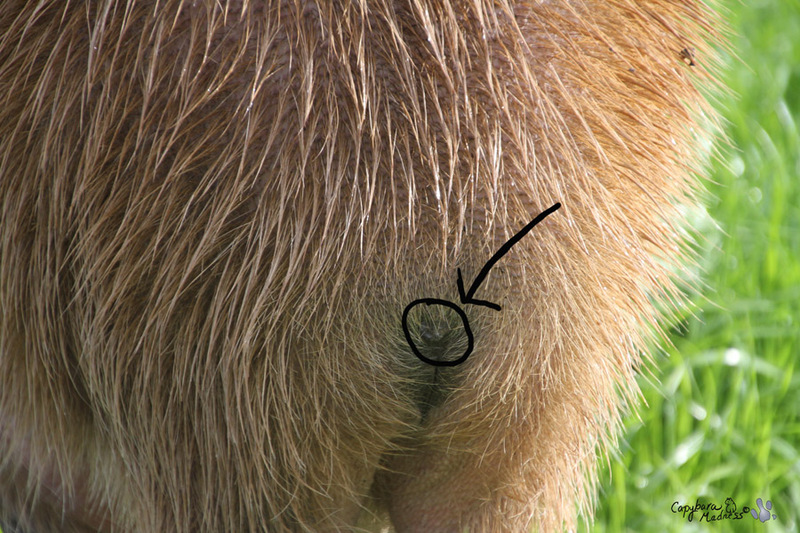 And if you part the hair and examine closely, you can see the tiny little nub. It doesn’t move at all, like Gari’s. At the time, I thought it was some kind of genetic anomaly, but now I wonder if perhaps they all have this, and it’s only pronounced enough on a small population of them to actually notice. 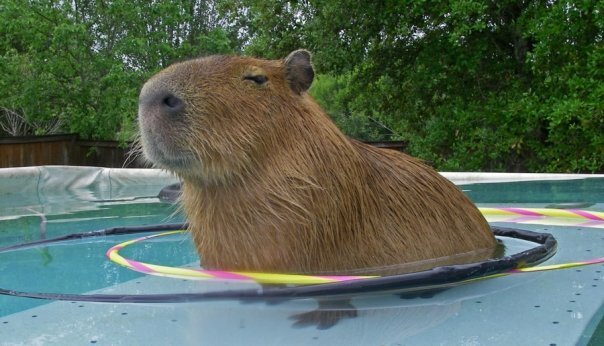 The animal in your youtube video is a Nutria. 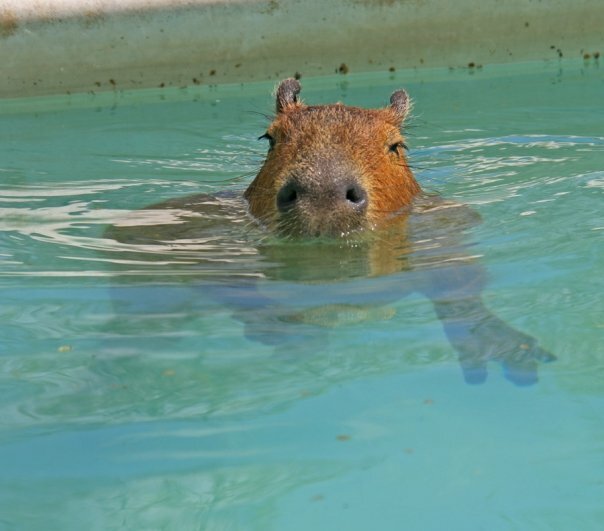 You can tell because of the long, light-colored whiskers, and the long tail.